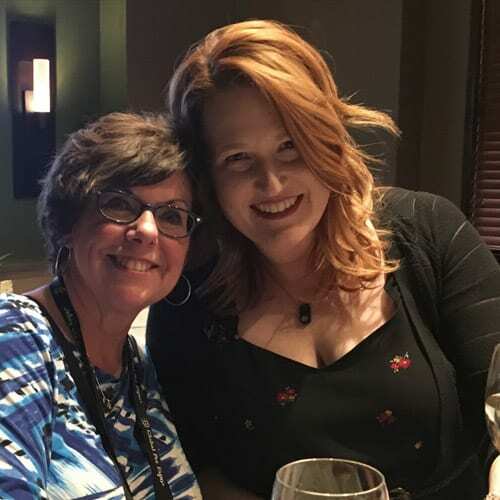 Day 2 proved to be just as exciting (and exhausting) as Day 1. 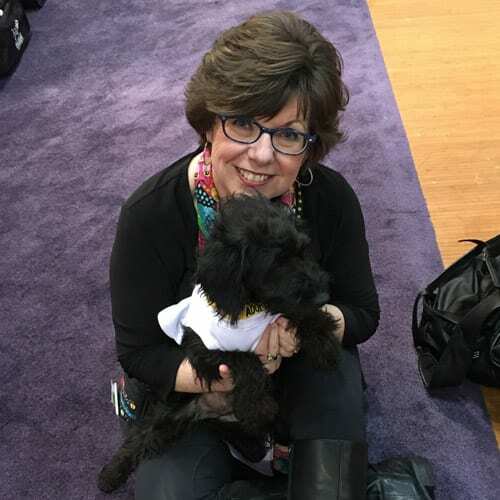 I covered 5 miles today at Global Pet Expo 2018 at the Orlando Convention Center. 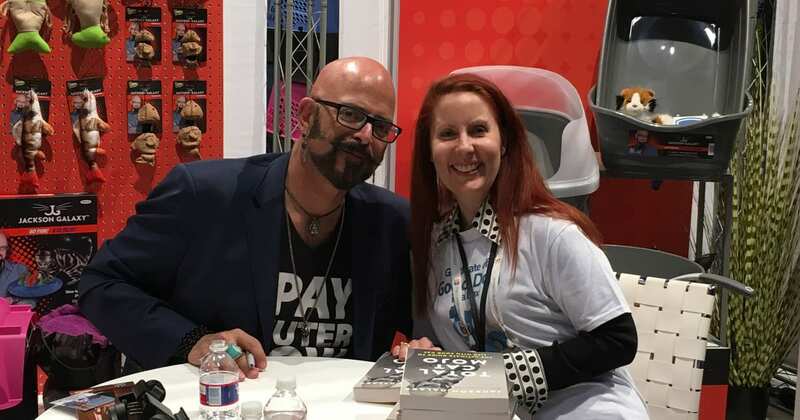 I was very fortunate to catch Jackson Galaxy, cat behaviorist and star of Animal Planet’s My Cat From Hell. 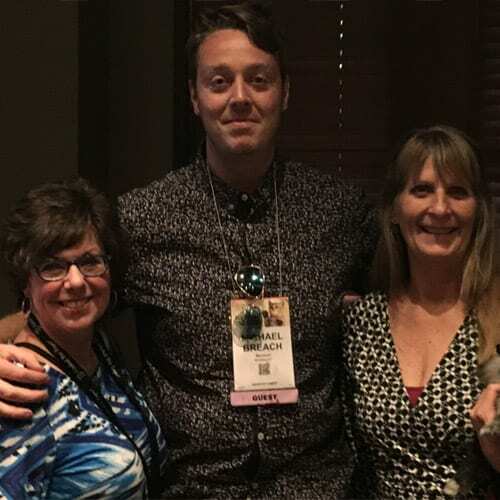 I got an autographed copy of his book, Total Cat Mojo, and checked out his line of cat products by Petmate. 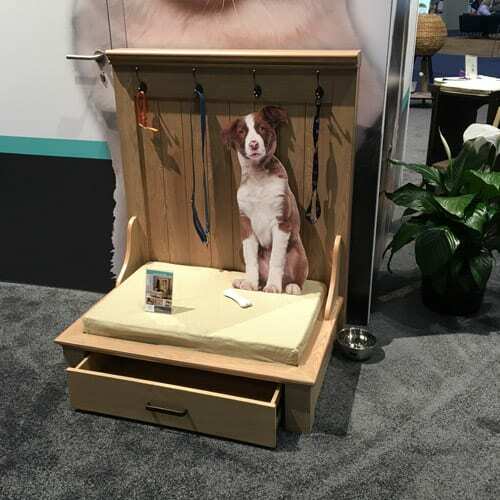 I was thrilled to learn that Sauder, makers of affordable put-it-together-yourself furniture, had a pet line. Who knew? I obviously don’t get out enough! My favorite desks from my e-commerce company were Sauder. 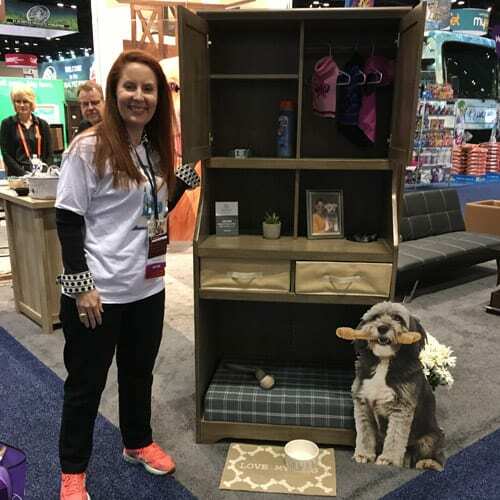 I was really impressed with the functional and fun designs they have made for homes with pets. Buggy and Mister, my two rescues, would love the cat tower with the scratchable sides. 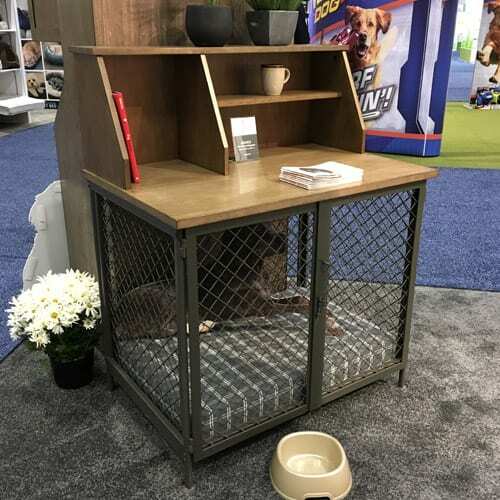 My new house is definitely going to need a desk with the built-in dog pen for the entry hall. What a great idea! 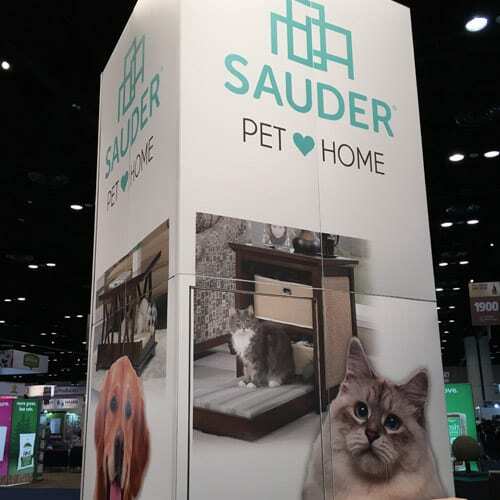 We met principal designer of Sauder Pet Home, Mark Strayer, and passed along how much we liked what Sauder was doing in the pet industry. Did you know 80% of bacteria in the mouth is not on the teeth? Yuck! Regularly cleaning your dog’s tongue may help reduce disease causing bacteria, reduce bad breath odors, and stimulate production of saliva leading to overall healthier teeth and gums. 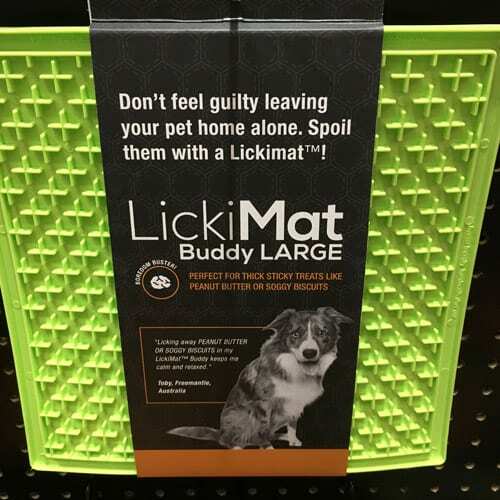 Plus, you’ll feel better about all those dog kisses. 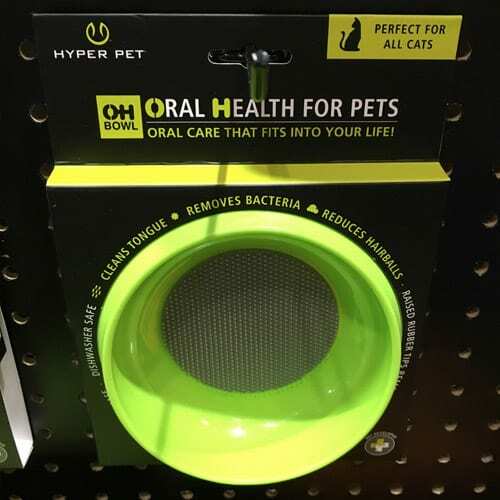 I found the perfect line of new products to help in your efforts to keep Fluffy’s oral health up to snuff. 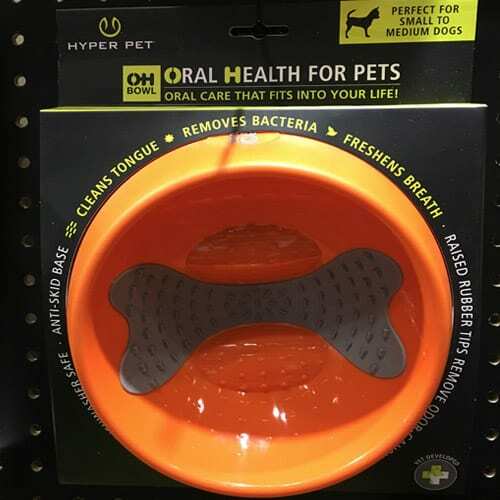 Hyper Pet’s OHBowl is the world’s first oral health bowl for dogs. 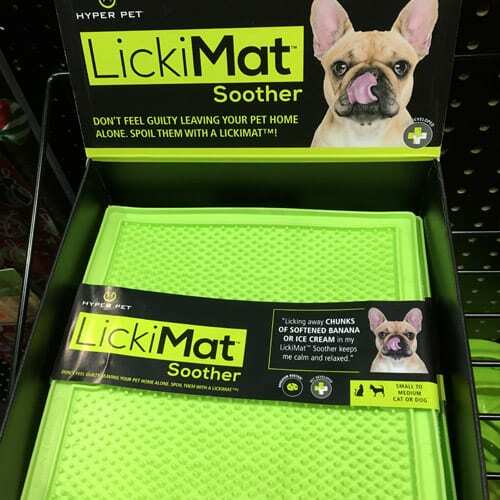 Developed by a vet to encourage your dog to lick across the raised rubber tips to clean their tongue, remove bacteria, and freshen breath. 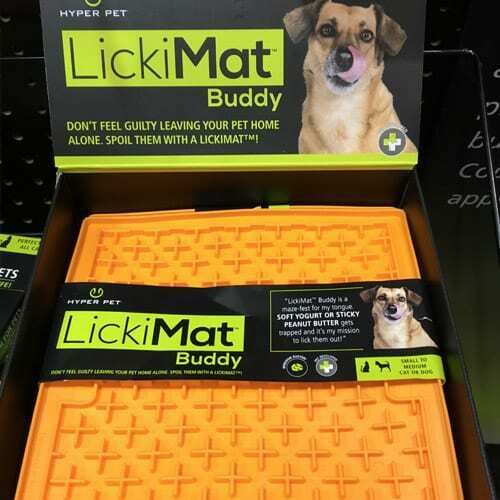 The LickiMat gives you a fun alternative to the Kong for busting boredom and promoting calming behaviors. 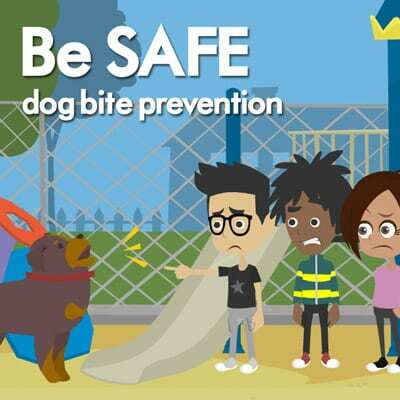 Just smear peanut butter on it, freeze yogurt, or freeze broth with dog treats to give your dog something to do. These items are not made out of the heavy duty rubber that Kong’s are, so you have to watch that your dog won’t chew them when done. 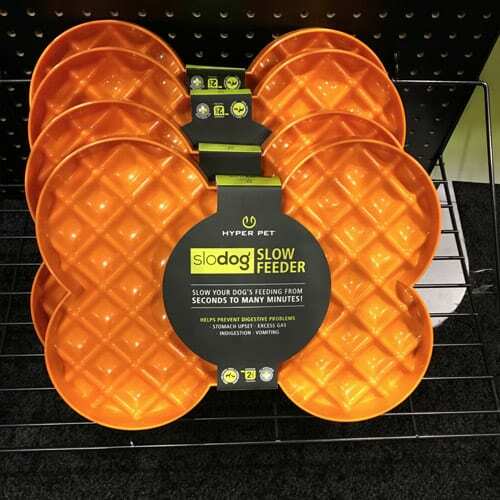 The Slodog Slow Feeder is a unique design that adds obstructions when a dog eats, so they don’t gulp their food down. 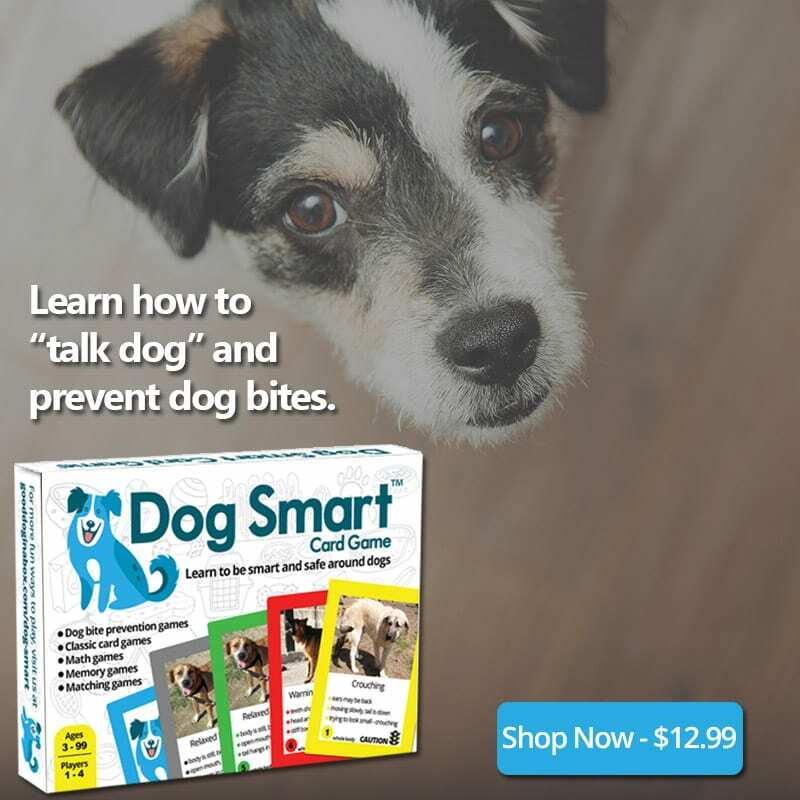 It lengthens the time it takes your dog to eat, adding to a relaxed, no-stress meal time. I really liked all the products in this line from the UK and abroad. I had a Booster Bath for my Newfoundland, Holly. 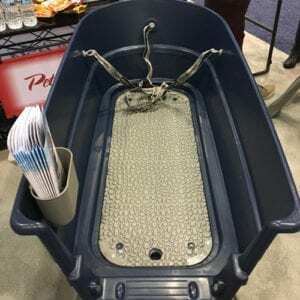 This was a very study dog bath tub with built-in restraints, rubberized and textured no-slip mat, a drain hose, shampoo caddy, and a fan water nozzle. This product was very well made and thought out. 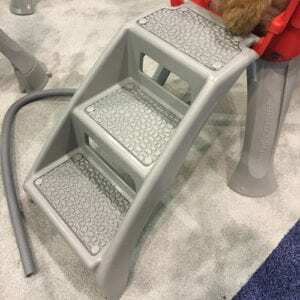 I’d give it five stars, but if you have a big dog, don’t forget to get a set of steps too. I didn’t have the steps and it was mighty hard to get a 150 lbs. dog into this tub. This was a fun product I found today. The FurZapper. 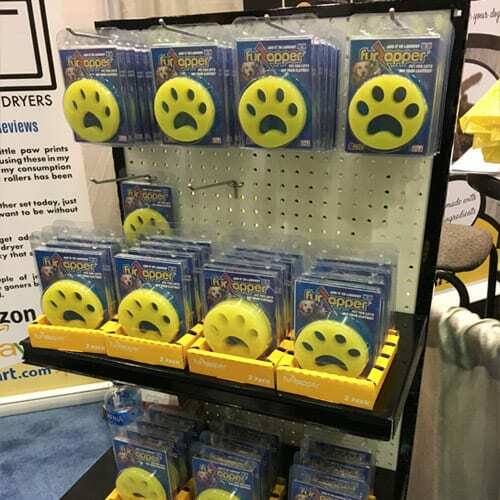 This product is made out of a sticky, gummy substance that pulls the dog hair, cat hair, and lint off your clothes when they are in the washer and dryer. It’s reusable again and again. You don’t even need to wash it. It’s self-cleaning in your clothes washer, so just throw it back into the next load. It’s safe and effective at getting pet hair off your clothes. Ok, so how fun are these? Who wouldn’t want their dog (or I guess cat) playing with Gene, Paul, Ace, and Peter. This four piece set is made by Epic Hights and I’m sure is coming to a retailer near you in the upcoming months. 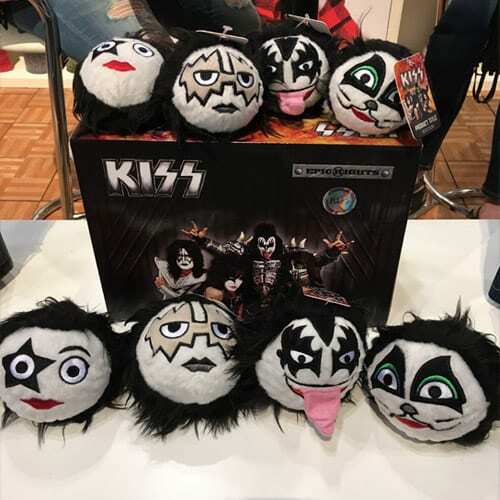 Lick It Up puppy dogs! 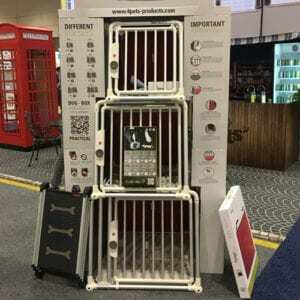 4Pets Products makes some seriously heavy duty and safe dog crate systems for your car and home. An international brand from Switzerland, they offer a modern design that is safe and comfortable for traveling with your dog. TUV tested and certified products. 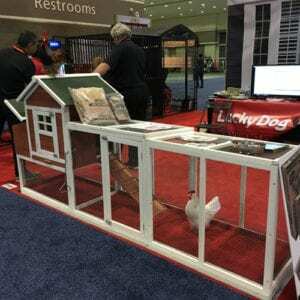 Designer chicken coops were all the rage at Global Pet Expo this year. I saw a number of different layouts, color schemes, one story vs two story, and some with live chickens. This would be the bomb in my backyard! The fresh eggs would just be a bonus. I’m a fan. 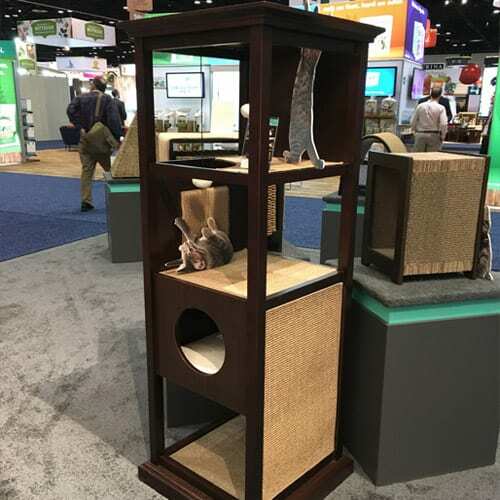 I’ve used HomeoPet for years and was thrilled to see them at the show. This company makes a line of homeopathic remedies for pets. Try Feline Furball, Fireworks, Liver Rescue, and Coat Rescue. A wide line of all natural products that deal with specific symptoms in your dog, cat, horse, or small mammal pets. 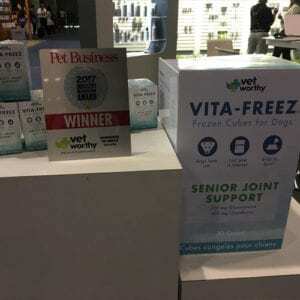 Vet Worthy won the 2017 Industry Recognition Award last year from Pet Business for their Vita-Freez frozen cubes for dog. You just pop these Glucosomine and Chondroitin cubes in the freezer, let them get cold, and drop them in your dog’s bowl. Dogs love ice and these really help for senior joint support. Tuesday evening I had a special event to go to, the launch party for PetFriendly.Love. Yours truly is on their Advisory Board. 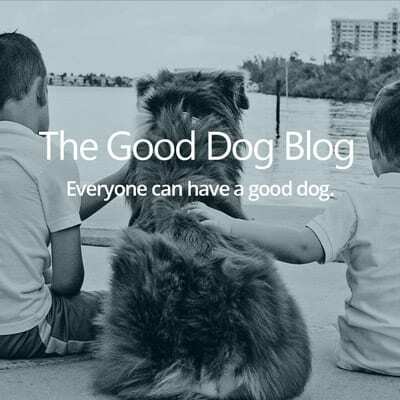 PetFriendly.Love is building the world’s largest global pet community. 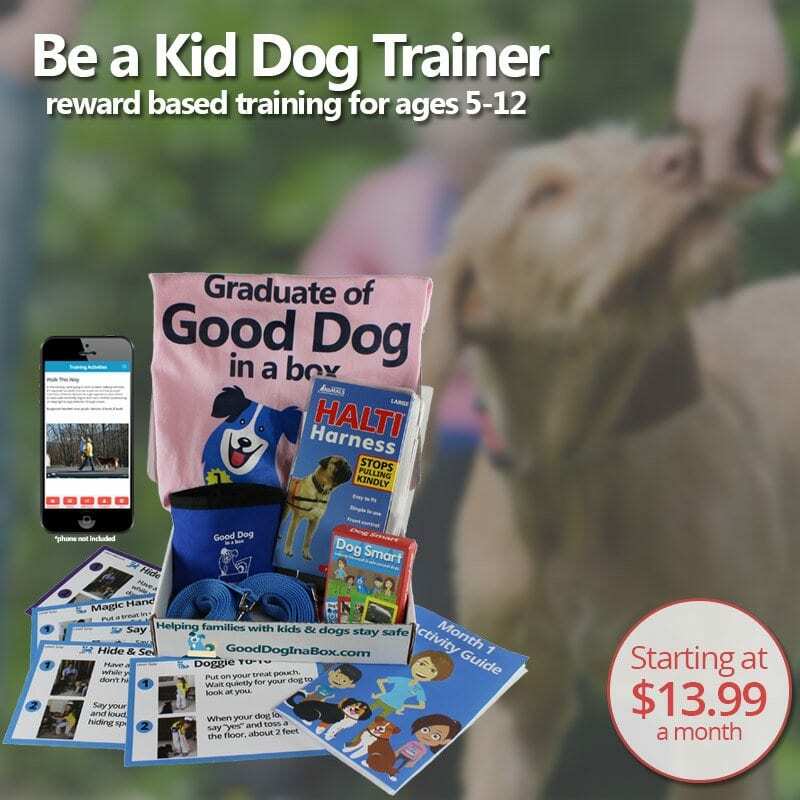 Pet lovers of the world can unite on their website to find certified companies of all kinds, who have passed a rigorous process to become “Pet Friendly” certified. 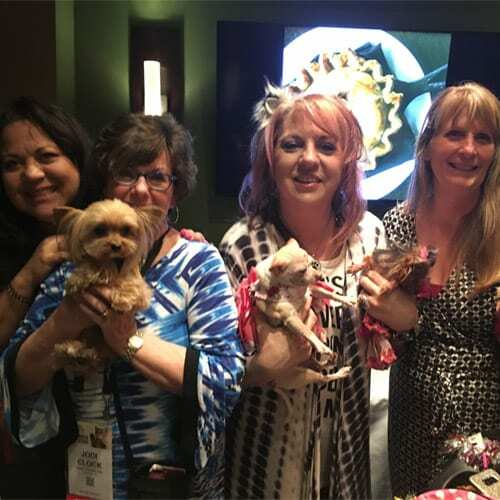 The certification process will provide pet lovers confidence when they shop, dine, play, or travel, that they are dealing with companies who not only want their business, but invite them to bring their pets into the experience. PetFriendly.Love is also introducing the first pet cryptocurrency which will be used for services on the company’s site. 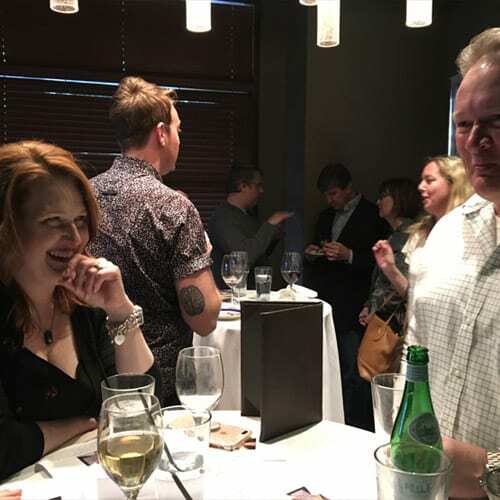 A launch party was held at Copper Canyon Grill to celebrate and answer questions about the newly launched ICO. 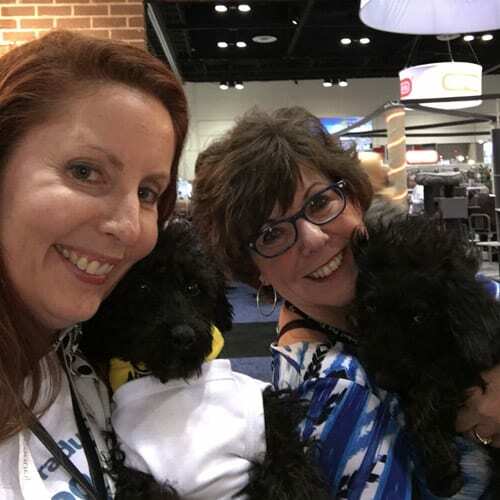 One more day of all things pet from Global Pet Expo 2018, in Orlando, FL. 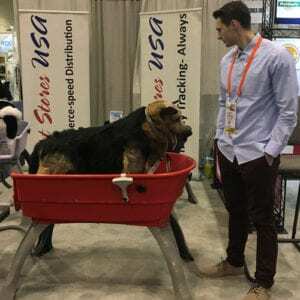 Come back tomorrow for my Day 3 wrap up of the biggest pet show in the US and my Top 10 Best Products of Global Pet Expo on Saturday. 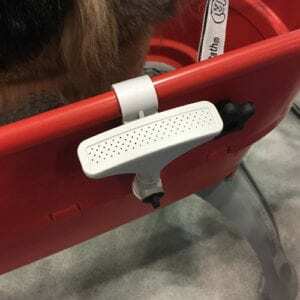 If you missed yesterday’s post of Day 1 of Global Pet Expo, be sure and read it. 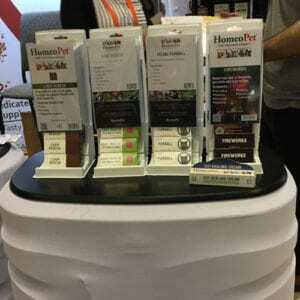 What was your favorite product of the show? 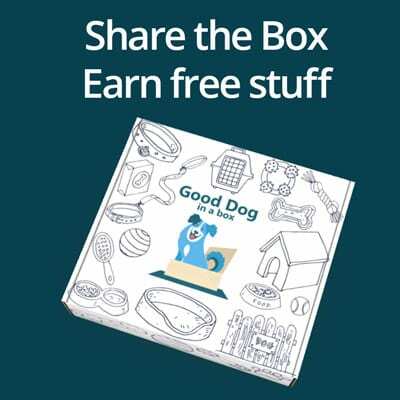 Let me know in the comments below and share all these great new pet gadgets with your friends.